The third day of the Hempel World Cup Series Genoa was another non-sailing day that eventually squeezed out some results. 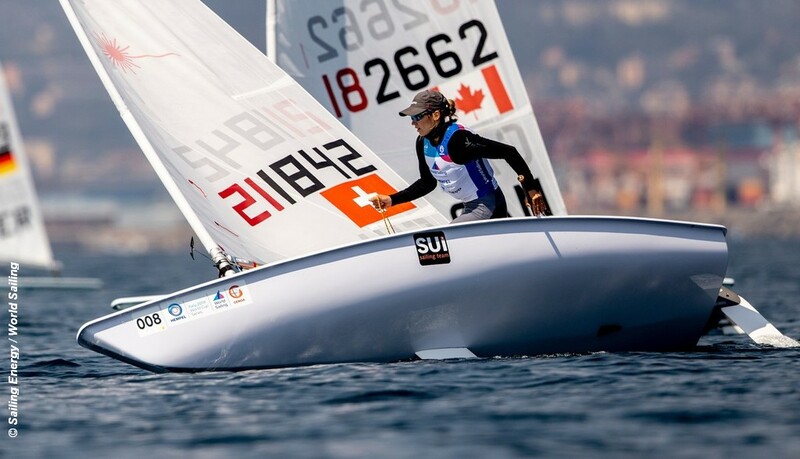 In the 49er event, only the blue flight managed to complete their race, with a win for the Croatian World Champions Sime and Mihovil Fantela, their second of the week. In second place were the Aussie pair David and Lachy Gilmour, with third Hannes Westberg and Albin Boman of Sweden. We have to wait for the overall positions until the other flight is sailed. For the British competitors it was not good news as James Peters and Fynn Sterritt finished down in 16th. Better results for Morgan Peach and Daniel Budden in 4th, and Jack Hawkins and Chris Thomas in 5th. Dylan Fletcher and Stu Bithell will be pleased to have skipped this one to concentrate on their GBR Team SailGP duties. The women finally managed a couple of flight races in their Radial event. The first going to Line Flem Høst of Norway and the second to Switzerland’s Maud Jayet, putting them top of the leaderboard. Tied for second are Anne-Marie Rindom (DEN) and Vasileia Karachaliou (GRE), and on third place are Tatiana Drzdovskaya (BLR) and Isabella-Anna Bertold (CAN). Britain’s Clementine Thompson is 17th, Georgina Povall 19th and Daisy Collingbridge 29th. The Finn and the men and womens 470 events have yet to race. The 49erFX and Nacra 17 managed some racing on day 1 but nothing today.